"I COULD be well moved if I were as you…But I am as constant as the northern star," those were Julius Caesar's words. The very same is coming out of sungura doyen Alick Macheso's mouth as he speaks of his soon-to-be released album, "Dzinosvitsa Kure". 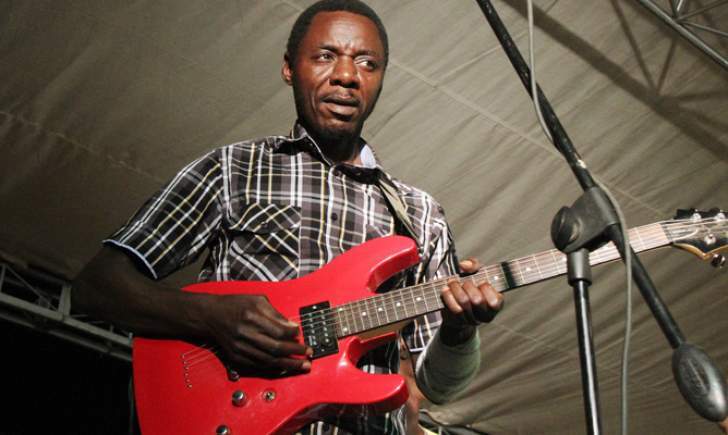 Time and again, Macheso has demonstrated artistry with his guitar playing skills. "I have fought hard not to embarrass those that have stood by us on this album (Dzinosvitsa Kure). Vatsigiri vangu vaitaurirwa zvinorwadza (my fans were told painful stuff) from all ends, with some suggesting I am now a spent force just like what is being said of some football teams but 'Dzinosvitsa Kure' ichavanyaradza (the album will comfort them)," declared Macheso. "I took time crafting this album. It has to create the proper effect. I treat myself as a music learner each time, be it on the guitar or vocals, that is why I always manage to swiftly respond to market needs." "Dzinosvitsa Kure", his 11th studio album, is set to be released this week on June 6, with the official launch slated for June 8 at the Aquatic Complex in Chitungwiza. The launch day will also double as Macheso's 50th birthday and Orchestra Mberikwazvo 20th anniversary celebrations. Baba Sharo, as the sungura artiste is popular known by the legion of his fans, was among the first sungura stars to bring pizzazz to the genre with a heavy focus on epic dance moves, mainly typified by the Borrowdale dance and unrivaled showmanship on the bass guitar. Having been groomed and mentored by legends such as Shepherd Chinyani and the aristocratic Nicholas "Madzibaba" Zacharia, who in their own right revamped the sungura genre, their protégé Macheso nailed it. "One thing for certain is I'm going to stick to sungura and the genre does not need modifying for it to make an impact. I cannot amend it because people are saying sungura yasara (is outdated). Those that feel the genre is no longer up there are free to try other things but should leave sungura as it is. Ndakasvika yakadaro (I found it as it is) and will leave it like that," said Baba Sharo. As evidenced at weddings, parties of all sorts and public gatherings — Macheso's music has catchy, addictive and emotional lyrics. Fans have been known to shed tears listening to the maestro's compositions. The sound is compact, supported by poignant lyrics addressing modern day challenges while vocals, lead and backing, are done by the maestro himself. "The foundation of 'Dzinosvitsa Kure' is premised on the flavour that has always been favoured by our fans over the years — talk of the sound, lyrics and vocals. You will see a touch from the era of 'Amai vaRubhi', 'Chara Chimwe' and 'Charakupa'," revealed Macheso. Choice of the launch venue further cements the relinking theory. Macheso's last offering was officially unveiled at the Harare International Conference Centre (HICC). "HICC is not easily accessible to most of our fans. Besides, Chitungwiza is our home ground and we have to honour its people with this triple celebration. History has shown that it is easy for our fans from elsewhere to grace Aquatic Complex than for them to come to places like HICC." Songs featuring on the forthcoming six-track album include "Chikuru Kurarama", "Pfuma Yacho", "Ndakakutadzirei", "Kudzwai", "Madzitete" and "Vane Zvavanoda". Tempos of songs on "Dzinosvitsa Kure" are divided into categories which range from medium, fast and medium-to-fast paced. But whichever tempo is in use, it is difficult to ignore the luscious lead guitar vibes anchored by the melodic rhythm guitar and mind blowing bass guitar sounds. For instance, Nyazanda played the lead guitar on "Kudzwai" and "Pfuma Yacho" and was in charge of the bass guitar on "Madzitete" and "Vane Zvavanoda", when Macheso was on the lead guitar. Maikoro and Poto interchanged on the rhythm guitar. "This was a way to avoid monotony, at the same time improving creativity. We are gifted differently hence we decided to give each other diverse roles on different songs," he said. Indeed, the skies are painted with unnumbered sparks. They are all fire and every one of them shines but there is but one who holds his place, unshaken, committed to shining. Meanwhile, Macheso's camp has partnered with Zimpapers in a deal that will see vendors of the integrated media house selling "Dzinosvitsa Kure" CDs throughout the country on the day of its release. The CDs will also be available at Zimbabwe Red Cross Society depots across the country.